For the celebration of Vietnam’s Lunar New Year (Tết), the Year of the Rooster, World Land Trust (WLT) describes the diversity of colourful wildfowl within Khe Nuoc Trong, WLT’s project with Viet Nature Conservation Centre (Viet Nature). Tết is a festival celebrating purity and renewal in time for the arrival of spring, and the Vietnamese will prepare by cleaning their homes and decorating with the colours of good fortune: red and yellow. The lunar year plays a role in the Vietnamese Zodiac system, so the year a child is born in is thought to influence their fortune, as well as their characteristics. 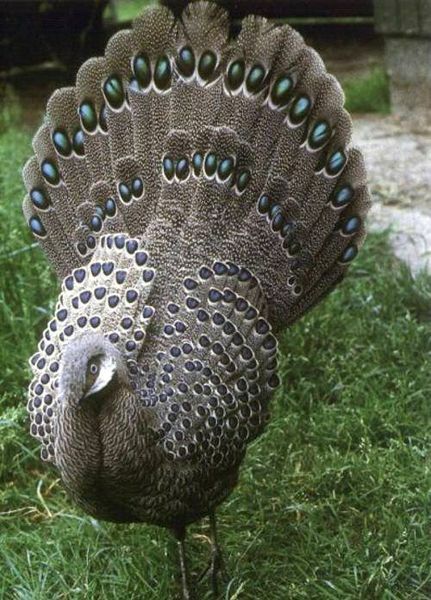 One of the most eye-catching of the roosters on our list, the male Grey Peacock-pheasant has iridescent turquoise eye-spots decorating its elaborate plumage to attract females and intimidate competitors. The structure of the feathers gives the eyes a round appearance and can give the impression of ‘tracking’ females the way real eyes do. The Edwards’ Pheasant is under imminent threat of extinction, as its wild population has been devastated by deforestation, hunting and defoliants used in the Vietnam War. 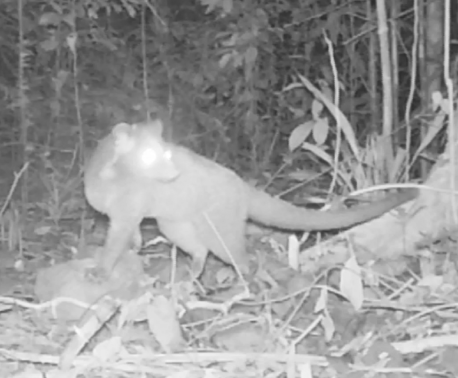 The future of this Vietnamese endemic, which many believe to be extinct in the wild, may lie in captive specimens, and whether they can be released in well-preserved habitats within their historic range. Khe Nuoc Trong is one such site, selected not only as one of the best remaining fragments of this type of forest left, but as a reintroduction site for this iconic Vietnamese species. 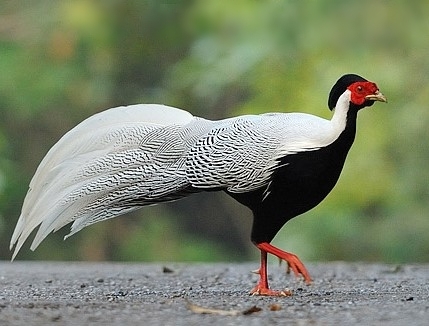 The male Silver Pheasant is easy to spot in his bridal attire, which has not evolved in the brown-grey females (pictured) that are more suitably camouflaged for predator evasion. However, predation is not considered one of the main threats for this species. As a species which prefers the cooler climes of montane habitats, global warming is thought to be responsible for its decline in certain areas. 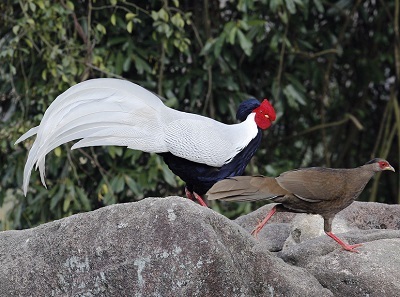 A 25-year study in Thailand has shown that, although typically separated by habitat and elevation, Siamese Fireback numbers are increasing in areas where the Silver Pheasant were previously dominant. The study theorised that warmer temperatures were causing the change in species distribution. 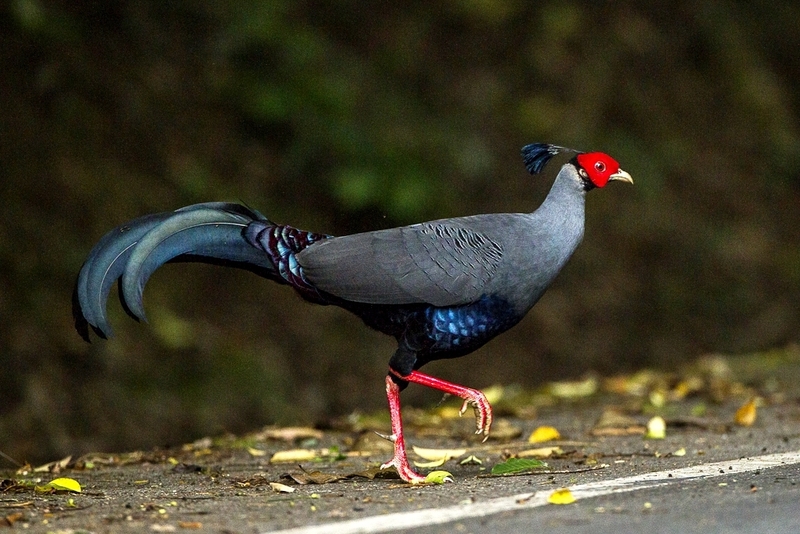 As temperatures rise, species are moving to higher altitudes to track the temperatures they are accustomed to; it is possible that the Siamese Fireback is moving into Silver Pheasant’s historic range, while Silver Pheasant numbers decrease due to a lack of suitable climate in their previous habitat. 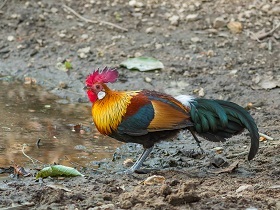 Perhaps the most recognisable of the wild species within the Galliformes order, the Red Junglefowl is thought to be the wild ancestor of the domestic chicken. As the oldest evidence of domesticated chickens has been found in Neolithic sites in China, this domestication must have happened at least 7,500 years ago. However, despite a huge range across Asia and the widespread farming of its domesticated cousin, the global population is decreasing due to over-hunting and habitat loss. 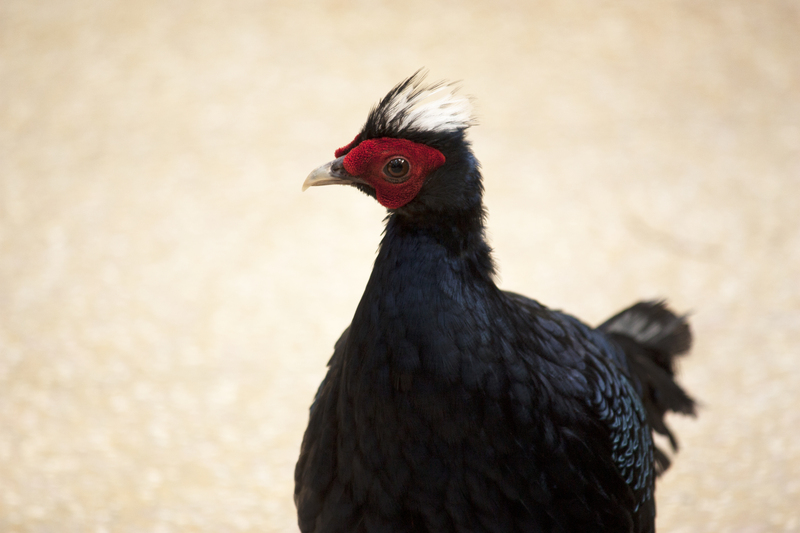 The Crested Argus is a magnificent dappled pheasant, so named for the striking white crest shown by males in display. They are classified as Near Threatened due to the significant loss and degradation of forest within their range, as well as snaring within the ‘arenas’ where the males display to attract females. 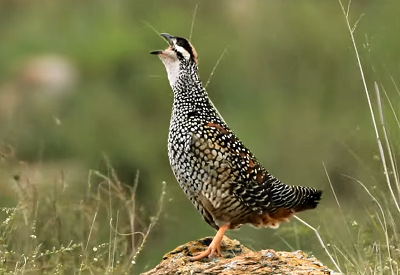 This relatively small member of the Galliformes order is recognisable by its scaly yellow-green legs and spotted buff collar. Although its global population is decreasing due to habitat destruction and unsustainable hunting, it isn’t currently classified as threatened. 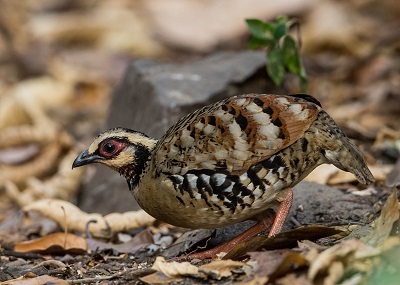 With a large range across Eastern Asia, the Bar-backed Partridge is not listed on the IUCN Red List of Endangered Species, but its population is slowly declining due to hunting and loss of its tropical forest habitat and is therefore a cause for concern. 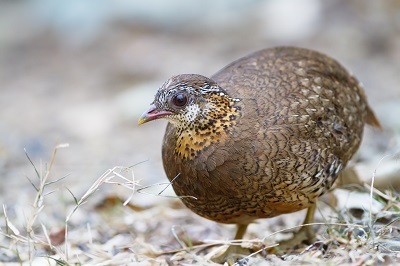 Unlike many other species in this list, the Chinese Francolin shows very little dimorphism between males and females, with both sexes having a rufous stripe on top of the head and mottled, scaly plumage, though females are slightly paler. 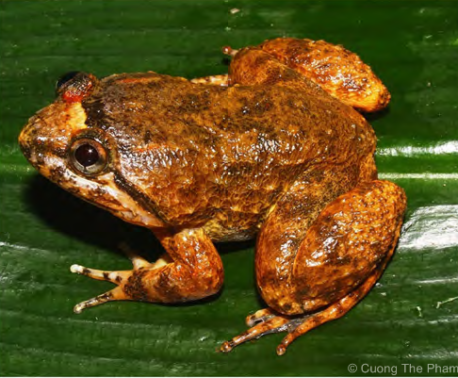 They are quite common across their distribution in Asia and there are no known declines or substantial threats. Khe Nuoc Trong is one of the best remaining examples of Annamite Lowland Forest in the world. The protection of 20,000 hectares of this habitat by Viet Nature is sustained by WLT’s Carbon Balanced Programme and supported by organisations such as The Body Shop.